Award Winners will be announced in March. 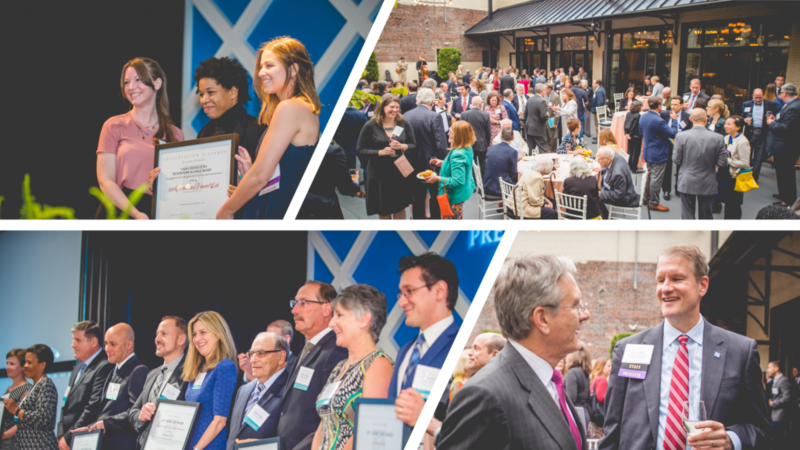 Each year the Preservation Alliance for Greater Philadelphia presents the Preservation Achievement Awards to a select group of individuals, organizations and businesses for projects from throughout the region which exemplify outstanding achievement in the field of historic preservation. The awards honor projects involving the preservation or protection of historic resources including the restoration, rehabilitation and/or adaptive reuse of historic properties; sympathetic new additions to historic buildings; or education, documentation and advocacy work on behalf of preservation of our heritage. Winners are selected by a jury of preservation professionals. There is no application fee for Special Recognition Award nominations. There is a $60 application fee for Grand Jury Award nominations, plus a $2.10 payment processing fee. A complete nomination form must be submitted using the online system. Projects and activities must have been completed within the past three years of submission deadline. The quality and degree of difficulty of the work or the outcome(s) of the activity. The need and/or goals that were met or exceeded. How the undertaking increased awareness of historic preservation. Impact on neighborhood revitalization, including economic impact. Benefit realized by the community and visitors, including children and adults as well. Nominations that were submitted previously, but not selected to receive an award may be updated and resubmitted as long as they had been completed within the three-year requirement. Award recipients must be present at the award ceremony to receive the recognition. The deadline for nominations is February 8, 2019 at 5:00 pm. Award recipients will be notified no later than March 31, 2019. The Grand Jury and Special Recognition Awards will be presented at the annual Preservation Achievement Awards on June 5, 2019 in Philadelphia. Award recipients are required to be present at the ceremony. Learn more about the 2018 Preservation Achievement Award winners here.